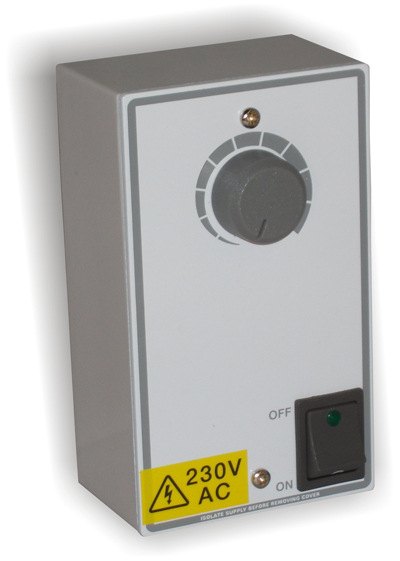 The 6 amp speed control is designed to control a single phase fan with a current of up to 6 Amps. The speed control is available as a stand alone product or it can be built into a control panel to reduce the site wiring. The speed controller provides manual speed control of certain shaded pole and permanent capacitor electric motors. Have a question about Sarum 6 Amp Speed Controls? Please fill out the form below and we will get back to you.